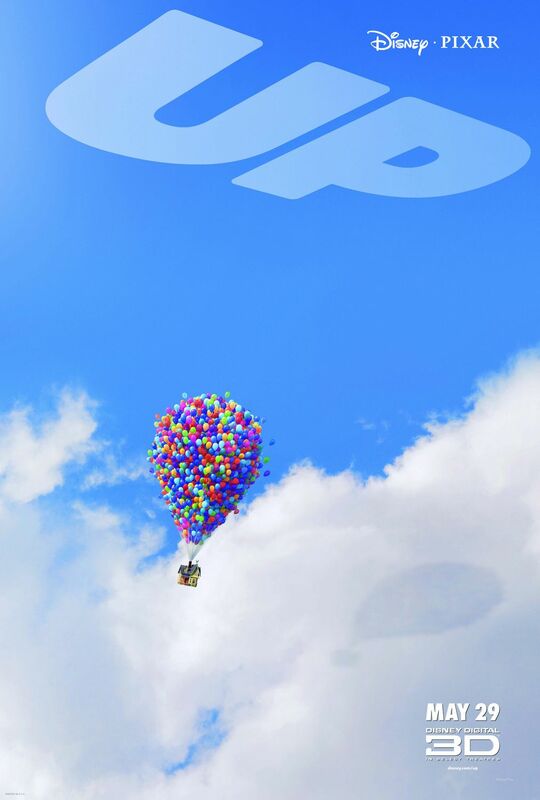 On this day in 2009, Pixar released Up. Directed by Pete Docter, Up made $68.1 million its opening weekend and ended up with $731.3 million worldwide, making it Pixar's 3rd largest grossing film, only behind Toy Story 3 and Finding Nemo. This was Docter's second directorial effort; his first was for Monsters, Inc. He is also directing Pixar's 16th feature film, Inside Out, which is scheduled to be released June 19, 2015. His co-director on Up, Bob Peterson, is now busy working on next year's The Good Dinosaur (releasing on May 30, 2014). You may remember Peterson as the voice of Roz from Monsters, Inc. Pete Sohn, who is co-directing The Good Dinosaur with Peterson, got his directorial start on the short film Partly Cloudy, which was attached to the theatrical release of Up. I find it very interesting how these three film-makers efforts are all intertwined! Up is one of my favorite Pixar films. I love the creativity and heart Docter brings to his films, and I'm really excited to see Inside Out. Michael Giacchino's score for Up is wonderful, and the Married Life sequence of the film may be the most poignant of any Pixar film (although the ending of Toy Story 3 comes in a close second!). This film also marks my first trip to the Pixar studios in Emeryville, CA. I was fortunate enough to attend a pre-screening benefit for the Emery Ed Foundation on May 7, 2009. I have a blog post that covers my trip to Pixar with pictures from inside the studio.